2003.04.30 “ witches ”Original : 297x210mm, ink-pen-Drawings on paper. 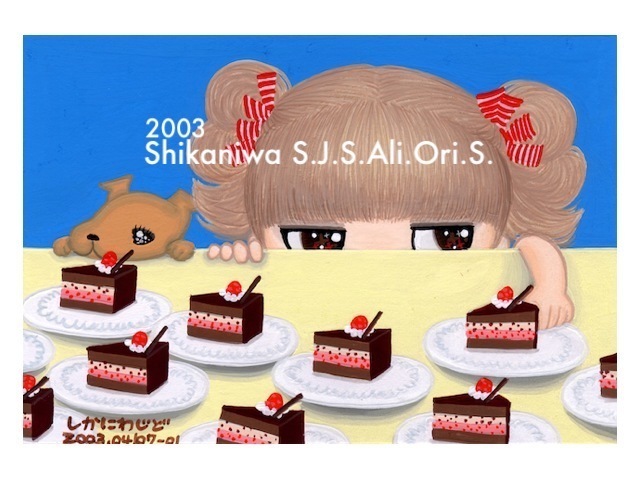 2003.04.22 “witch chocolate” Original : 130x90mm, pencil-drawings + Acrylic-paintings on paper. 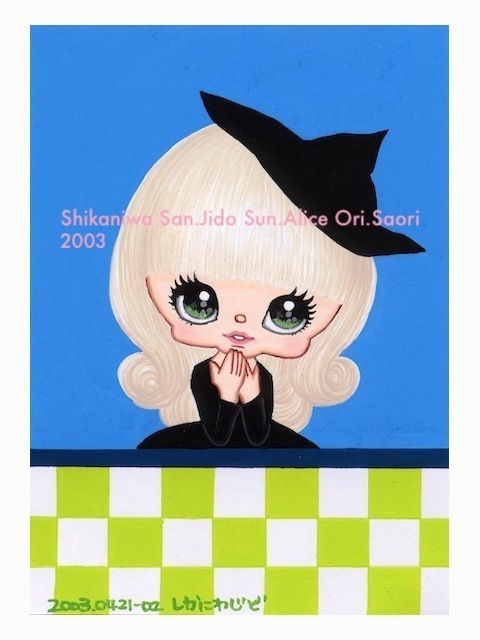 2003.04.21 “witch white” Original : 130x90mm, Acrylic-paintings on paper. 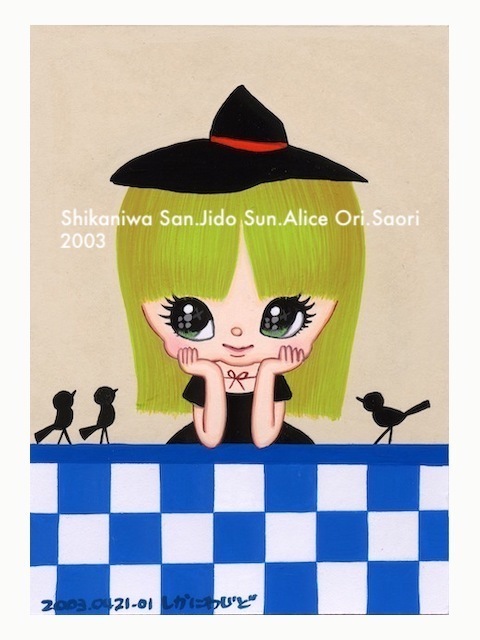 2003.04.21 “witch yellow green” Original : 130x90mm, Acrylic-paintings on paper. 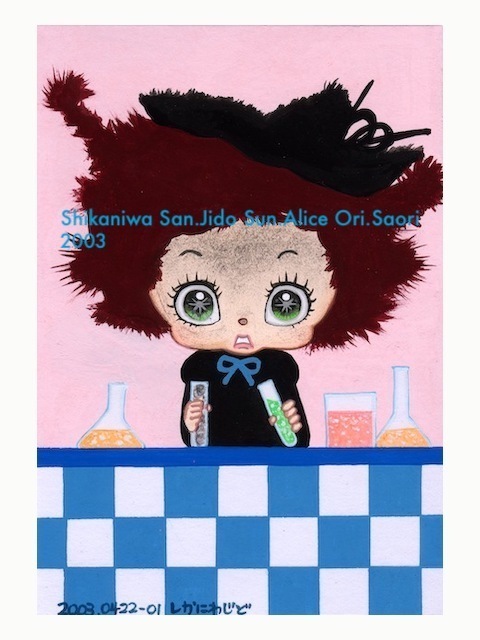 2003.04.20 “witch grape” Original : 130x90mm, Acrylic-paintings on paper. 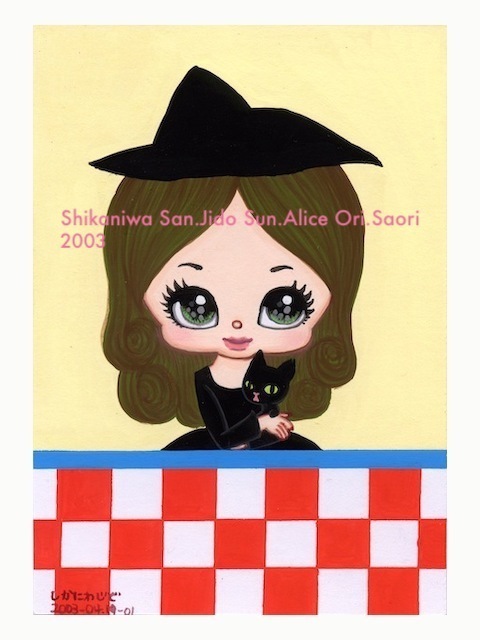 2003.04.20 “witch black” Original : 130x90mm, Acrylic-paintings on paper. 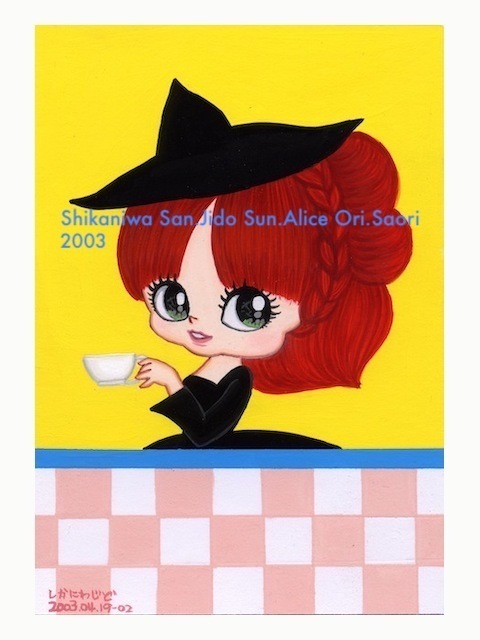 2003.04.19 “witch red” Original : 130x90mm, Acrylic-paintings on paper. 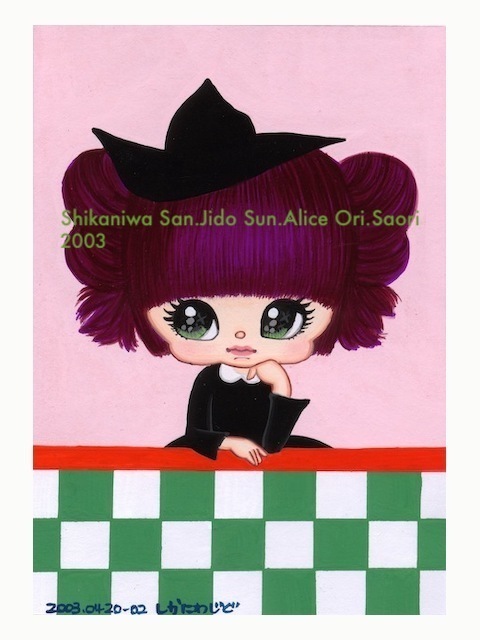 2003.04.19 “witch olive” Original : 130x90mm, Acrylic-paintings on paper. 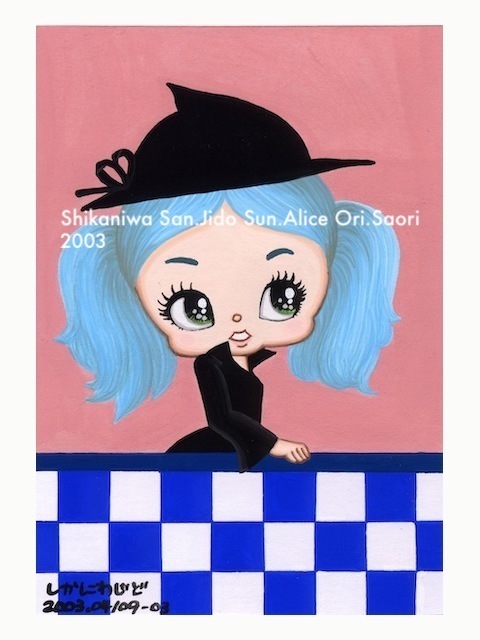 2003.04.09 “witch aqua” Original : 130x90mm, Acrylic-paintings on paper. 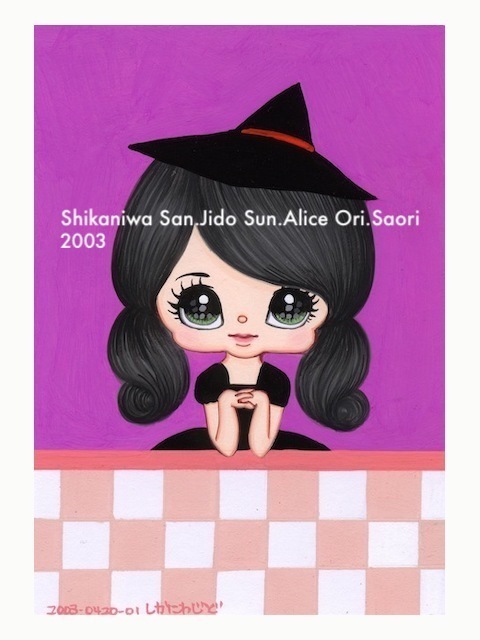 2003.04.09 “witch orange”Original : 130x90mm, pencil-drawings + Acrylic-paintings on paper. 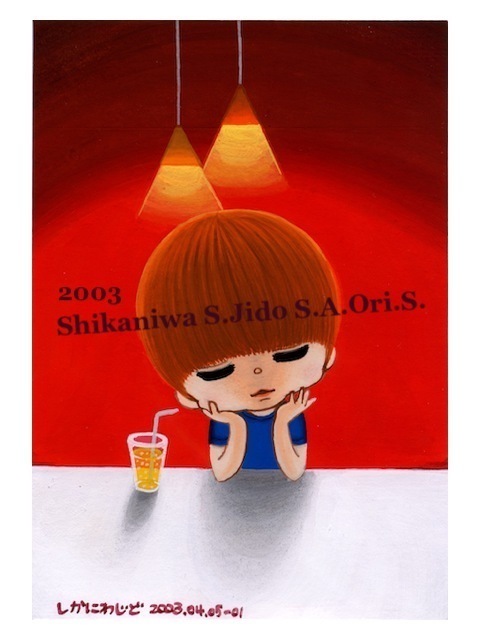 2003.04.08 “ Boy &amp;amp; Butterfly ” Original : 130x90mm, Acrylic-paintings on paper. 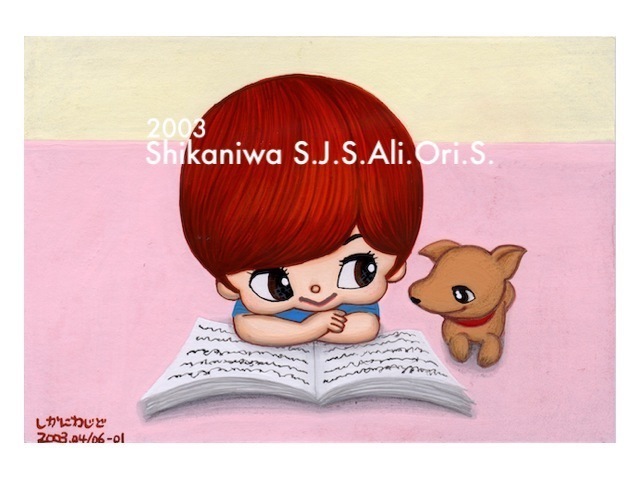 2003.04.06 “ dog &amp;amp; boy ,reading ” Original : 130x90mm, Acrylic-paintings on paper. 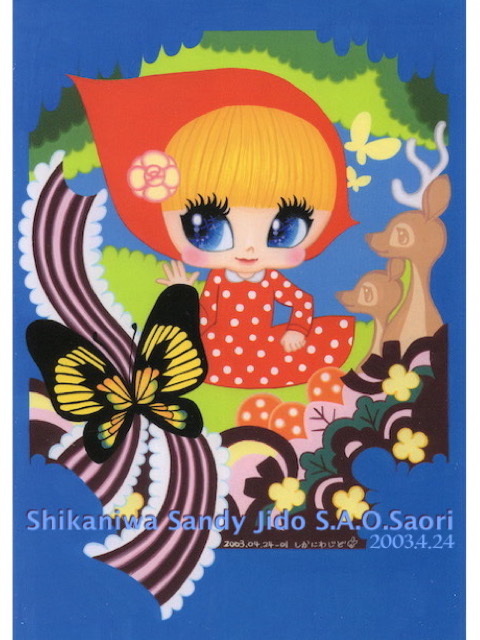 2003.04.05 “ against the light - red ” Original : 130x90mm, Acrylic-paintings on paper. 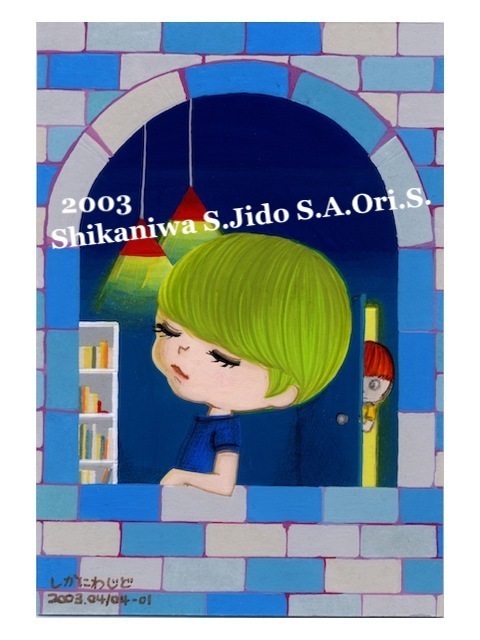 2003.04.04 “ against the light - Blue ”Original : 130x90mm, Acrylic-paintings on paper.